Unhappy with that outcome it was back to the drawing board. 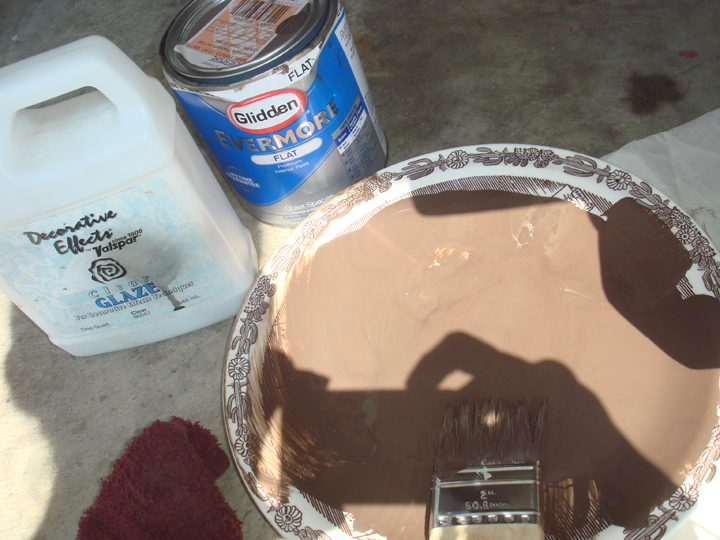 The entire surface was sanded, and painted again with the same milky brown Glidden (without thinning glaze). 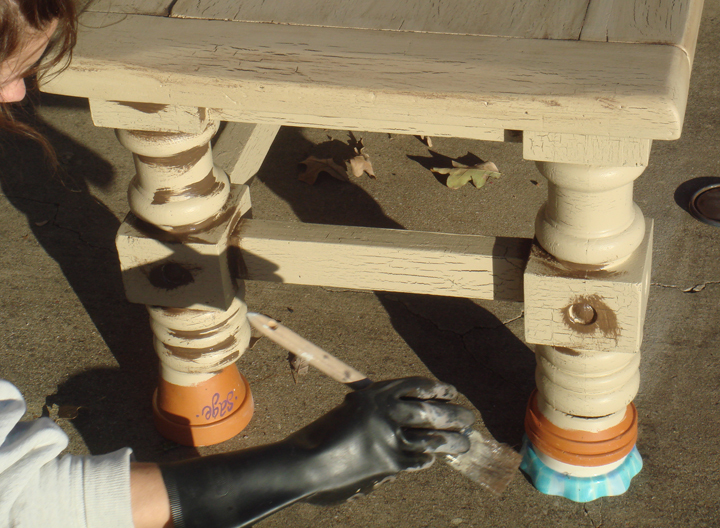 Once dry, a generous coat of Behr’s Crackle paint was applied. Going on like glue, the “crackle” paint dries with a shimmer. (Behr has discontinued their Crackle paint at Home Depot, but VALSPAR makes a comparable option—though I’ve not yet taken it for a test spin). Once dry and a linen-hued top coat applied (which is when the crackle happens! ), Gadora brushed a detail of brown on spindled legs, then wiped with wet cloth. Below, the metamorphosis of the coats of paint (click on pic to enlarge). Far left: a close-up of the first glaze coat (it simply didn’t give the table enough interest). Middle: bottom coat of brown applied, allowed to dry, then crackle applied. A detail of brown paint was applied, then wiped with wet cloth. Right: Table dry and top poly sealant applied. 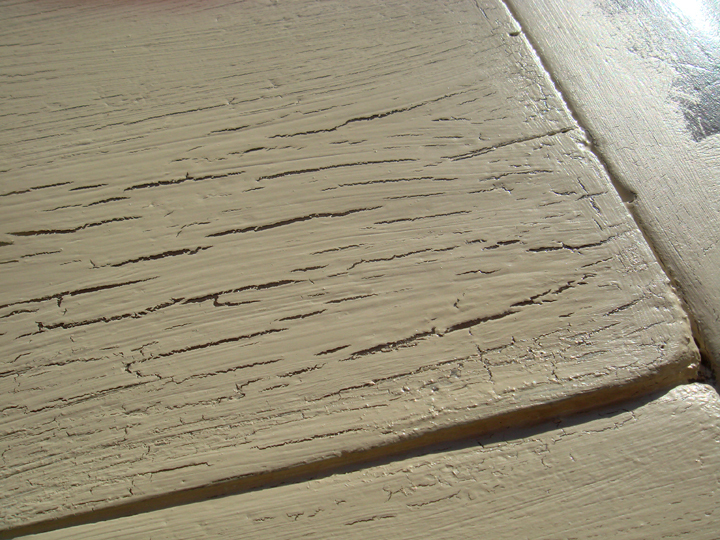 A close-up of the table top, before brown detail applied. The thicker the Crackle paint is applied, the larger the “cracks” in the final product. Once dry, Gadora brushed a polyurethane sealant onto entire surface. To reduce shine, the surface was wiped smooth with a wet towel (while the poly stain was still wet), it also smoothed out any bubbles that naturally appear in the poly process. 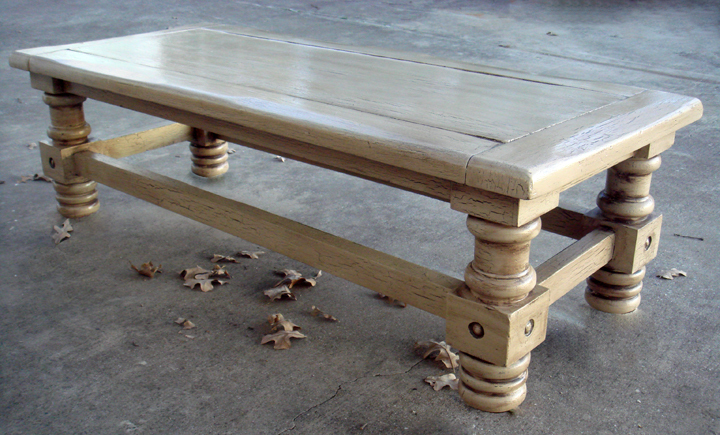 Crackle may not be for everyone, but it’s virtually a fool-proof way to refurbish an otherwise uninteresting table. You’ll find this commissioned piece at ShoeString Interiors in Keller, Texas. *This table has seen a lot of highway, folks. Gadora has carted it, in her dirty wagon, from Austin to Keller, then back again (twice)… each time without an ounce of creative juice applied. This trip Dad implored me to finish (Grumble. Grumble. Dad.) and to make him proud, I eventually gloved up and got to work. While finishing the table, my Dad treated Alice Paige, the wonder wagon, to a sudsy hand wash. Thanks Dad, we’re lookin’ good. 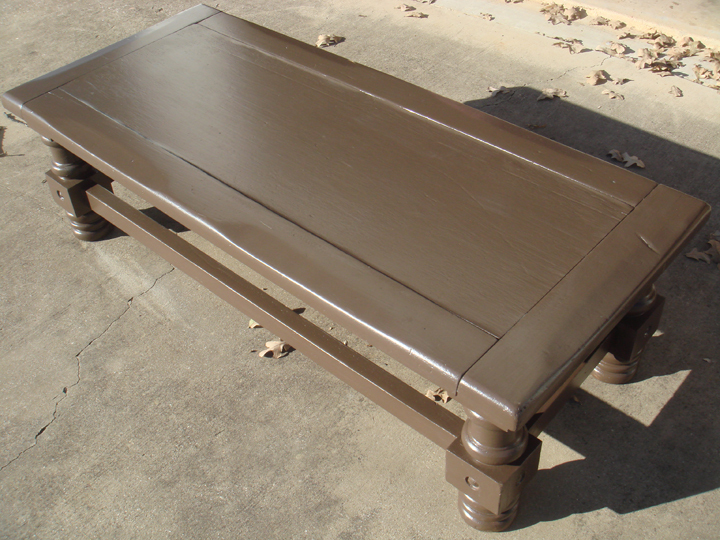 Posted on December 22, 2009 January 13, 2010 by gadorawilderPosted in BEFORE & AFTERTagged Behr crackle paint, Coffee Table, Do-it-Yourself, easy art project, garage sale, How to, inexpensive project. I love your comment. 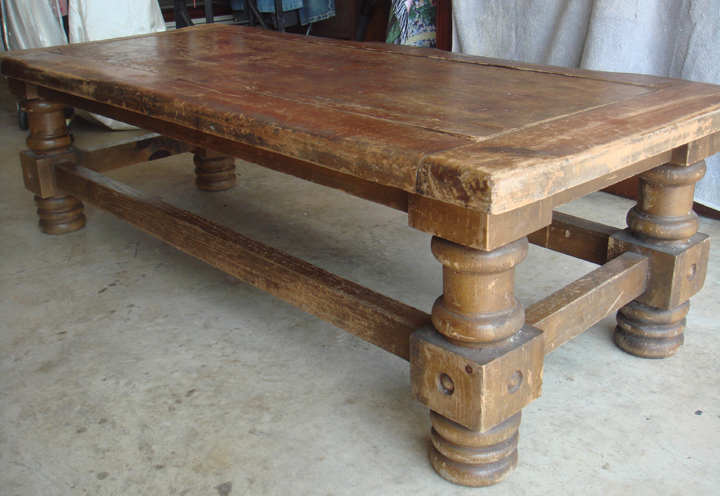 It was NOT even remotely an attractive, or quality, table to begin with. But it’s ok you don’t like the outcome. Thanks for looking. If you can grab some efficiency by combining, so much the better.